Chromosomes — those ubiquitous packages of DNA — may actually be less “gene” than you’d believe. A new study found that only about half of the material inside each chromosome is actually made up of DNA. Each of our cells contains an incredible quantity of data physically encoded as genes, which string together to form DNA. But as they divide, cells need to pack all of this information tightly to pass on to newer generations. This is where chromosomes come in — think of them as DNA.zip. Since their role is to pack as much material in the smallest space possible, and because they’re really tiny and hard to look at properly, we just assumed they were mostly made up of genetic material up to now. But research performed by the Wellcome Trust team indicates that there’s far less genetic material than we’ve thought — DNA, they found, only makes up about half of the chromosome. The rest, as much as 47% of their structure, is formed out of a mysterious sheath that surrounds the genes and is called a chromosome periphery, the team reports. We’ve known about chromosomes for some time now. Technically, they were first observed in 1842 by Karl Wilhelm von Nageli, a Swiss botanist, although he didn’t really understand what they were or how they work. “Chromosome” was coined in 1888 by Edouard van Beneden, after the mechanisms of cellular heredity and division became known. For all this time though, and despite the major technical advances we’ve seen since, the complete structure and organization of chromosomes has remained a mystery, the team reports. The biggest issue is that they’re really tiny so its hard to get a good look at them. But University of Edinburgh scientists have recently developed a microscopy technique that allows then to observe chromosomes in higher detail than ever before. Known as 3D-CLEM, the technique uses both light and electron microscopy together with modelling software to produce high-fidelity 3D models of the structures. With it, researchers have mapped all of the 46 human chromosomes. The models revealed that the DNA and supporting proteins — called chromatin — makes up between 53 and 70 percent of the chromosome. The rest, anywhere between 30 to 47 percent, is the chromosome periphery. 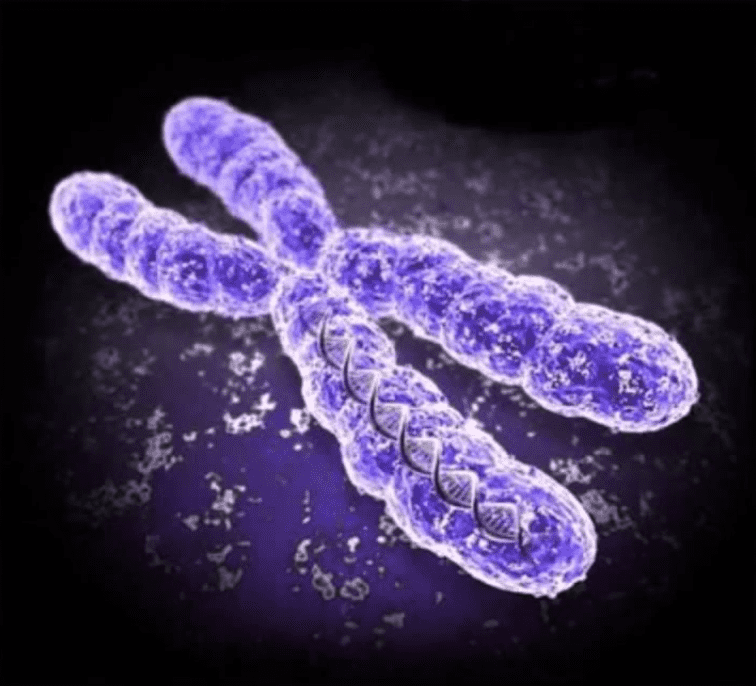 “The imaging technique we have developed to study chromosomes is truly groundbreaking,” said study co-leader Dr Daniel Booth of the University of Edinburgh’s School of Biological Sciences. Right now, we don’t know very much about the coat, but the team believes it serves to keep the genes safe and limit their exposure to other genetic material during cell division. The full paper “3D-CLEM Reveals that a Major Portion of Mitotic Chromosomes Is Not Chromatin” has been published in the journal Molecular Cell.